After a terrible start to the weekend that saw both Red Bulls suffer engine penalties and start towards the back of the grid it was down to birthday boy and racing ingénue Max Verstappen to put smiles on the faces of the factory workers back in Milton Keynes with a banzai performance from lights to flag. The Dutch racer lined up in P19, and made up six places during the opening lap. By lap 3 he was running in P11, and by lap six Verstappen had overhauled Charles Leclerc for sixth. 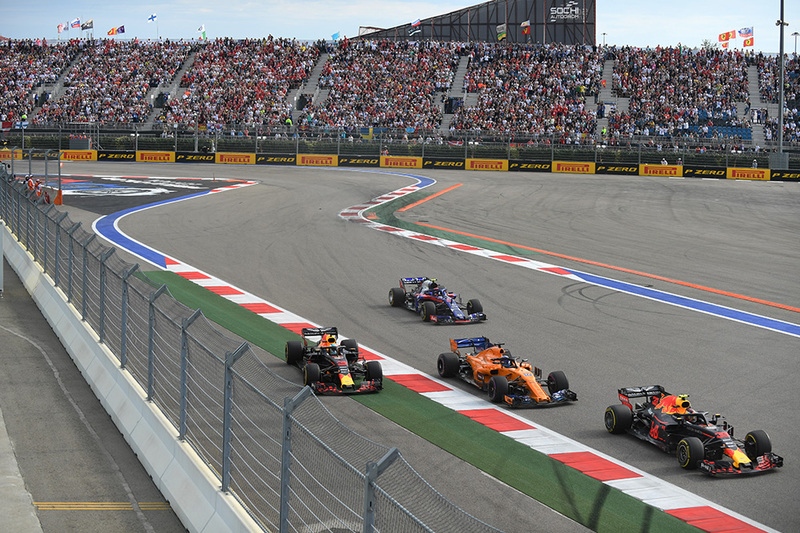 When race leader Valtteri Bottas pitted on lap 12, Verstappen inherited the lead and controlled the race until his own stop on lap 43, a masterful performance on the soft tyre compound. Ferrari have suffered a lot of criticism this season for poor strategic calls, costing the Scuderia both track position and likely race wins. But on Sunday afternoon in Sochi, Ferrari got it right -- where pit stops were concerned. Sebastian Vettel pitted at the end of lap 13, and when Mercedes called Hamilton in on the following lap the Briton emerged from his stop behind his championship rival. All looked to be lost, but on lap 16 Hamilton made several attempts at an overtake on Vettel – nearly hitting the wall on one occasion – before taking second place into Turn 4. 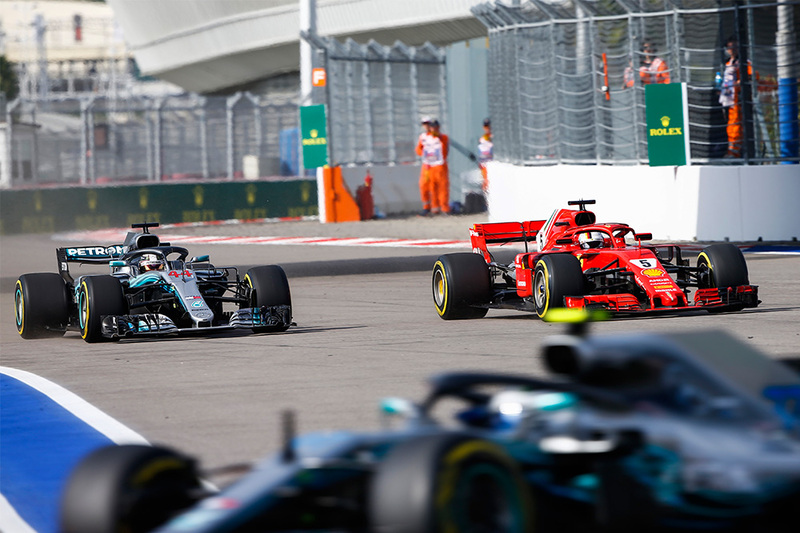 The move didn’t give Hamilton the lead, but without the overtake Mercedes would not have been able to swap their drivers later in the race, giving Hamilton the win. Lewis Hamilton may not look back on the 2018 Russian Grand Prix as the proudest moment of his career, having inherited the win when teammate Valtteri Bottas let the championship leader past on lap 25, but the Sochi victory will prove decisive in the championship fight. 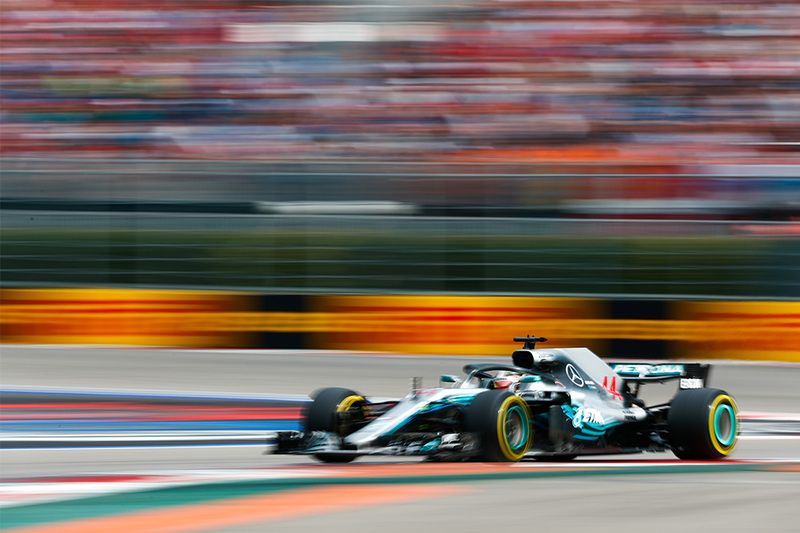 Bottas drove impeccably, and deserved to win, but given that he was no longer in the championship battle Mercedes took the decision to implement team orders to cement their lead in the title fight. “I had to do this to make sure we secured this,” said Mercedes’ chief strategist James Vowles to Bottas after the lead swap among the Mercedes drivers.